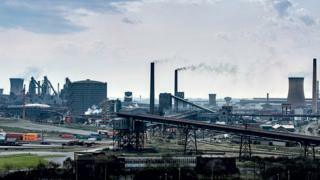 The EU's emissions trading system's rules allow industrial polluters to use carbon credits to pay for the previous year's emissions, or trade them to raise money. In a statement the company said: "We are discussing the impact of Brexit on our business with ministers and officials from the Department for Business, Energy and Industrial Strategy and they have been extremely responsive and supportive to date." The Department for Business, Energy and Industry Strategy told the BBC: "As the business department, we are in regular conversation with a wide range of sectors and companies."